Sprint Mover storage service includes not only the storage but also the dismantling, packaging, and loading of your household goods. Our moving helpers are always available to you. We offer the packing service for all moves and are happy to carry out the packing service. We call the full service with packing and then unpacking your household! A company move (office moving) means a lot more work than a residential move. More intensive planning is therefore indispensable for the smooth running of the project. You can either call 888 858 1511 or request a quote using our online quote form. After receiving your quote, our moving coordinator will contact your to explain every single detail of move. Check your email to confirm the move. That’s all. You need to wait your movers and enjoy the moving day. Sprint movers will contact you before the arrival. 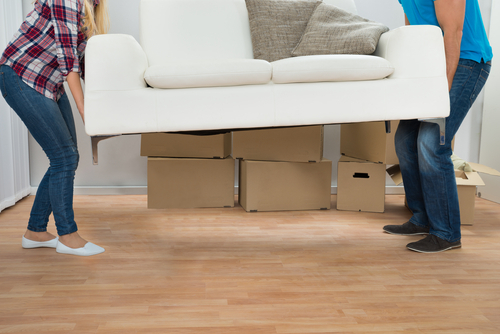 The student moving can save a lot of money, as mounting and packing is often not a problem when moving. We have a “student moving” special service model for moving students. Our aim is to always offer you quality despite quick and efficient residential moves. You can see that in particular by our positive customer feedback. Long-distance moving is time-consuming – let the execution be a moving company with experience. Nationwide moves are no problem for us. If you are looking for a long-distance furniture moving company whose employees will do their best for you, then you are well served with Sprint Mover.